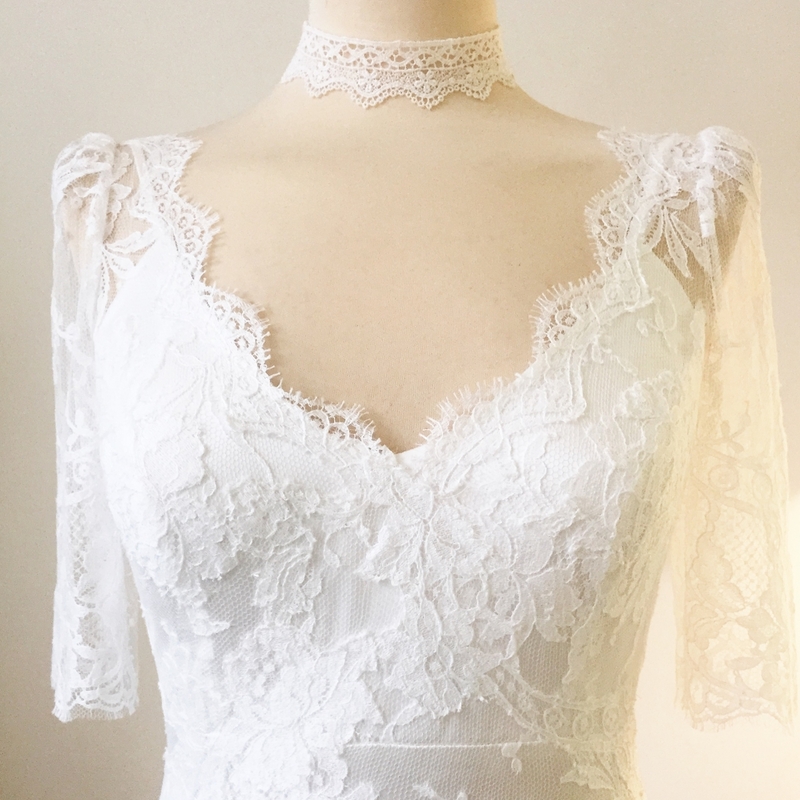 I have a selection of lace wedding dresses worn over a bias cut silk slip – wearing the bias silk slip is also an option! 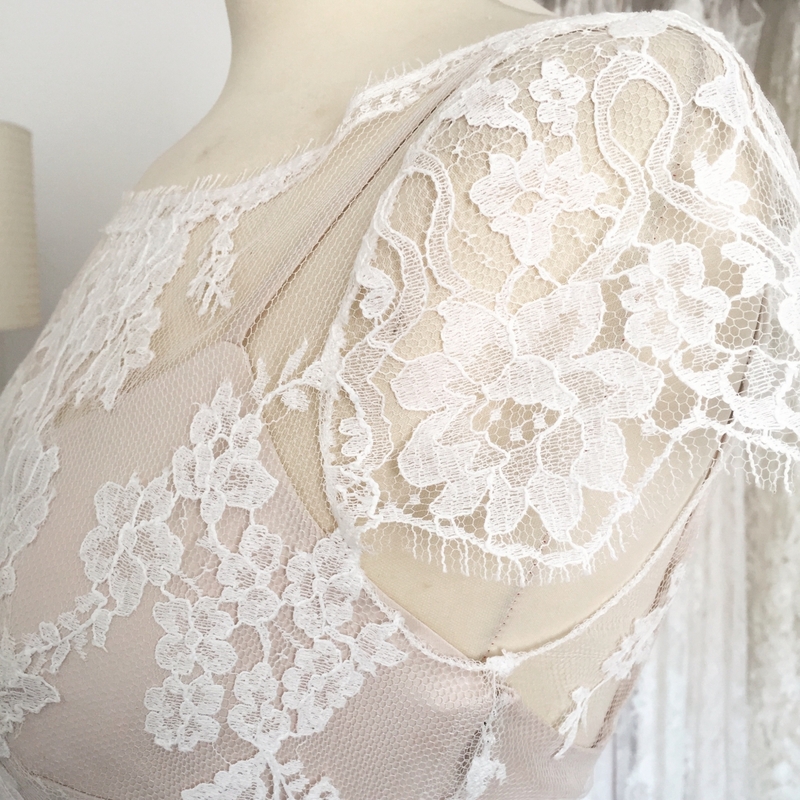 The bias slip forms a slinky body hugging base which allows the lace to fall without restriction. They really are special. My dresses are hand made to your shape and size. 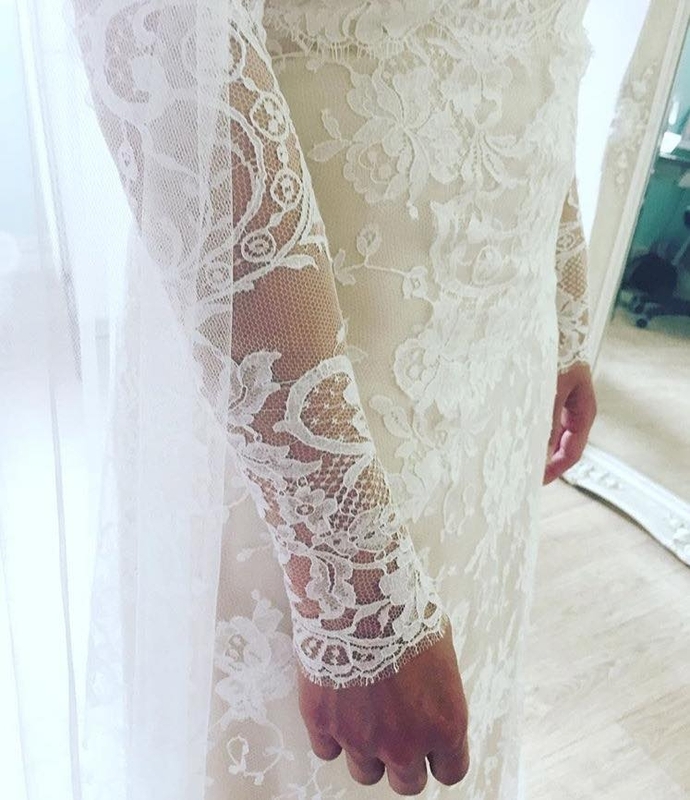 There is no extra charge for alterations as your dress is fitted before it is finished. 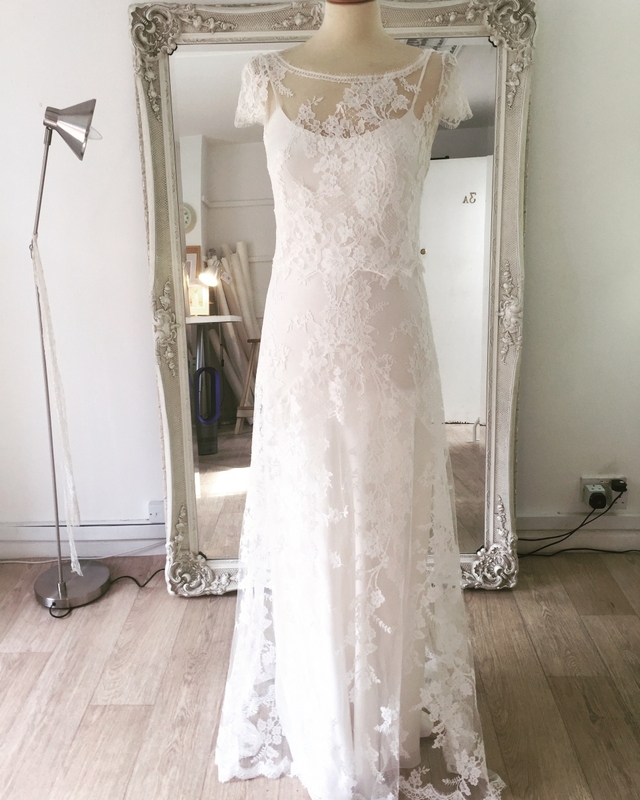 French Lace is incredibly lovely to touch as well as looking good! My samples are mostly a roomy size10 with a few designs a roomy size12. Even if you are smaller or larger than the samples we will be able to visualise the final result. I do offer a semi bespoke service as well as a bespoke if you wish which allows for tweaking of designs. A full bespoke design starts with a consultation to brainstorm original ideas. 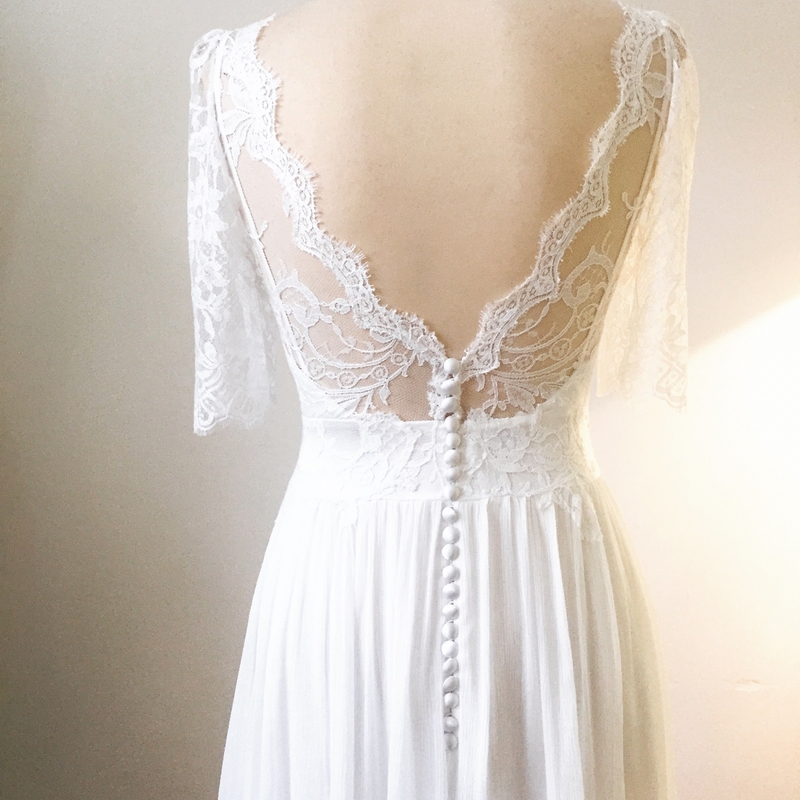 Most brides love the collection as it is or opt for a few small changes. Mixing and matching elements of the designs is what constitutes a semi bespoke dress. A visit to my studio gives you the opportunity to try my samples on in a calm and intimate atmosphere. My rail of samples do not overwhelm. A smallish collection with each dress being gorgeous in its own individual way. My appointments last one hour which is plenty of time to try several dresses.